by John Garvey 130 pp. A concise introduction to great religious traditions, Eastern and Western, with a view to the elements in them that might be brought into fruitful dialogue. Fr. 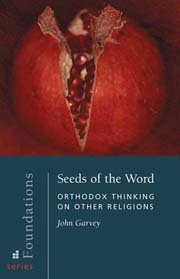 Garvey also reviews the encounters between Orthodox Christianity and other religions in history and today, leaving the reader with useful insights into how to relate to people of other faiths. This book could hardly be more timely.